Every day is a good day with the Earhart reclining sofa set around. 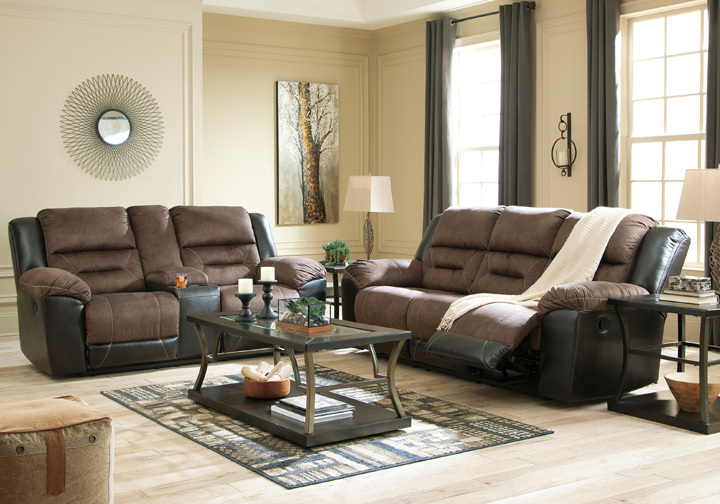 Take a load off and forget your worries as you ease back into the luxurious feel of suede-like fabric. 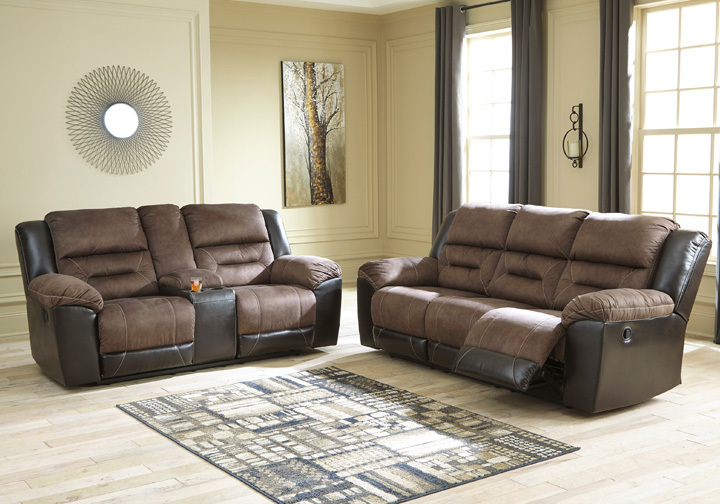 Faux leather covers the outside parts for an elevated look. Need more comfort and support for your body? Cue the deep seating and tall back. Contrast jumbo stitching adds an element of style to the cushions.